If the Internet connection is not available, you can also activate the Windows-10 or optionally by phone! 1.) ... Start phone Activation and Select the Country! 2.) ... The confirmation ID for the phone system! 3.) ....By problems on Windows 10 when want to activate via phone! See also: ► Turn-off the Internet on Windows 8.1/10! 1.) Start phone Activation and Select the Country! Optional you can use Windows+R keyboard shortcut key and enter also the SLUI 4 command. The Windows 10 Product Activation Wizard appears. (Image-1) Activate Windows 10 via phone! 2.) The confirmation ID for the phone system! Call telephone number for activation of Windows-10. And pass the ID by phone and follow the instructions on the phone. It is quite tedious procedure but has always worked. The total time is about 2-3 minutes. (Image-2) Windows 10 by phone activation! Using Windows 10 Activation, you can ensure that your copy of Windows 10 is a genuine copy and is not used on more than one machine as permitted by the Microsoft Software License Terms. In this way, activation helps to prevent software counterfeiting. 3.) By problems on Windows 10 when want to activate via phone! On some Windows 10 Systems disable internet connection or unconnected the LAN Cable! Rad This: ► Turn-off the Internet on Windows 8.1/0! If online activation is not possible, you can use the option "Use an automatic telephone system". If the Windows 10 Activation Wizard is not started, you can start the command prompt in administrative mode .You need to know how to activate Windows 10 by phone (telephone, smartphone, iphone). Tip: ► Disable Auto Connections to WiFi! Windows-10 - FAQ-211: Is it possible to activate Windows 10 by phone? Windows 10 do not get option to use the automated phone system to activate? Can't find automated phone system to activate? Want to activate windows over the phon e? Use the automated phone system to activate run command? Windows 10 ultimate 64 bit phone activation? Use automated phone system to activate windows is not available? Activate windows 10 via phone? Type the confirmation id the phone system gives you windows 10? Type the confirmation id the phone system? Step 3 type the confirmation id pada windows 10 ultimate? Follow phone system instructions to enter the installation id? Activate windows by phone command, Activate windows 10 by phone? Activate windows 10 by phone missing, Type the confirmation id the phone system gives you? Windows 10 confirmation id phone system, Confirmation id for windows 10 ultimate 64 bit? Activate windows 10 ultimate telephone, Activate by phone option missing? Windows 10 ultimate confirmation id the phone system? Micirosoft windows confirmation id in phone seyatsm? Type thecomfirmation ID the phon? How to activate windows 2008 r2 through phone? Type the confirmations ID the phone nunmber? Use the automated phone system to activate windowds vistatm 6000? To get a confirmation id, call? Windows 10 actvate using phone generator? Activate MS Windows via phone? Windows automated phone system to activate? Automated phone system Windows 10? Activate windows now step 3? Activate windows now to get confirmations id? Microsoft windows 10 phone activation? Windows 10 configuration id the phone system gives? Windows 10 ultimate THE CONFORMATION ID THE PHONE SYSTEM? Enable windows 10 phone activation? Cmd to activate windows 10 over the phone? Cmd to force phone activation windows 10? Type the confrimasi id the phone windows 10 ultimate? Windows activate phone run comand? Fine available numbers for windon 10 Activation in Nigeria? What does telephone activation mean for windows 10 ultimate? Activate by phone option doesnt exist in windows 2016? Windows 10 ultimate key via phone? How to activate windows 10 ultimate with phone numbers? Activate windows lewat id phone? ACTIVATE WINOWS BY PHONE CMD? Window 10 active over the phone? Confirmation id the phone system windows 10 active 6 digit? Telephone activation start windows 10? 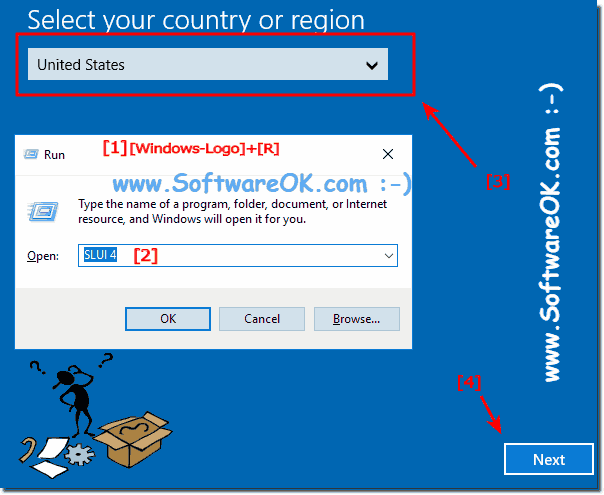 Win 10 ultimate step 3 id how to get? Cmd to activate windows over the phone? Activate by phone not showing? Windows 10 activate phone cmd? Windows 10 activation confirmation id? Use dial-up to activate windows 10? Type the confirmation Id the phone system gives you? Microsoft activation id by phone system? Phone activation windowqs 10 command? Type the confirmation id the phone sytem gives you? How to get confirmation id for windows 10? WINDOWS ACTIVATED VIA PHONE DOES NT SHOW? Win10 phone system cofirmation id? ACTIVATE BY PHONE NOT AVAILABLE WINDOWS 10? No telephone option for activation in windows 10 64 bit? Can you still activate windows via a phone/? Window 10 ultimate installation id Nigeria? Type the confirmation id the phone system gives you brazil? Active windows 10 ultimate phone system instructions to installation id? Microsoft windows 10 activation by phone? Confirmation ID the phone system given you? Confirmation id the phone windows 10? System confirmation ID for windows 10 ultimate 64bit? Can't activate windows 10 over the phone? Windows 10 ultimate activation telephone? How does the Windows Product Activation over the phone? Windows 10, the phone wizard does not start? How do I get on the phone activation wizard in Windows 10? How can I activate windows 10 after installation via phone? I do not have the option to activate windows over the phone? Actiate windows 10 by phone option not available? Microsoft windows phone activation windows 10 starter? 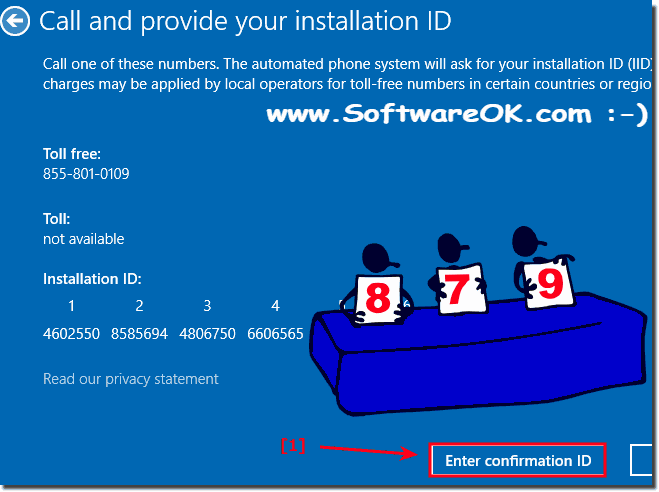 How to activate windows by phone number id? Activate by phone is not an option windows 10? Windows 10 cmd Command to activate by phone? Windows 10 cannot find way to activate by phone? Windows 10 activation not found? Windows 10 activation online cmd.exe? Windows 10 phone activation command?